A kakei, or bamboo spout, at Myoshinji, a Rinzai Zen temple in Kyoto. Zen Buddhism has a reputation for being inscrutable, and much of that reputation comes from koans. Koans (pronounced KO-ahns) are cryptic and paradoxical questions asked by Zen teachers that defy rational answers. Teachers often present koans in formal talks, or students may be challenged to "resolve" them in their meditation practice. For example, one koan nearly everyone has heard of originated with Master Hakuin Ekaku (1686-1769). "Two hands clap and there is a sound; what is the sound of one hand?" Hakuin asked. The question often is shortened to "What is the sound of one hand clapping?" By now, most of you probably know that the question is not a riddle. There is no clever answer that glibly puts the question to rest. The question cannot be understood with intellect, much less answered with intellect. Yet there is an answer. In the Rinzai (or Lin-chi) school of Zen, students sit with koans. They don't think about them; they don't try to "figure it out." Concentrating on the koan in meditation, the student exhausts discriminating thoughts, and a deeper, more intuitive insight arises. The student then presents his understanding of the koan to the teacher in a private interview called sanzen, or sometimes dokusan. The answer may be in words or shouts or gestures. The teacher may ask more questions to determine if the student truly "sees" the answer. When the teacher is satisfied the student has fully penetrated what the koan presents, he assigns the student another koan. However, if the student's presentation is unsatisfactory, the teacher may give the student some instruction. Or, he may abruptly end the interview by ringing a bell or striking a small gong. Then the student must stop whatever he is doing, bow, and return to his place in the zendo. This is what is called "formal koan study," or just "koan study," or sometimes "koan introspection." The phrase "koan study" confuses people, because it suggests that the student hauls out a stack of books about koans and studies them the way she might study a chemistry text. But this is not "study" in the normal sense of the word. "Koan introspection" is a more accurate term. What is realized is not knowledge. It is not visions or supernatural experience. It is a direct insight into the nature of reality, into what we normally perceive in a fragmented way. 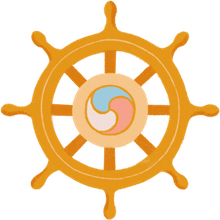 "Contrary to what some might say on the subject, koans are not meaningless phrases meant to break through to a transrational consciousness (whatever we might imagine that phrase refers to). Rather, koans are a direct pointing to reality, an invitation for us to taste water and to know for ourselves whether it is cool or warm." In the Soto school of Zen, students generally do not engage in koan introspection. 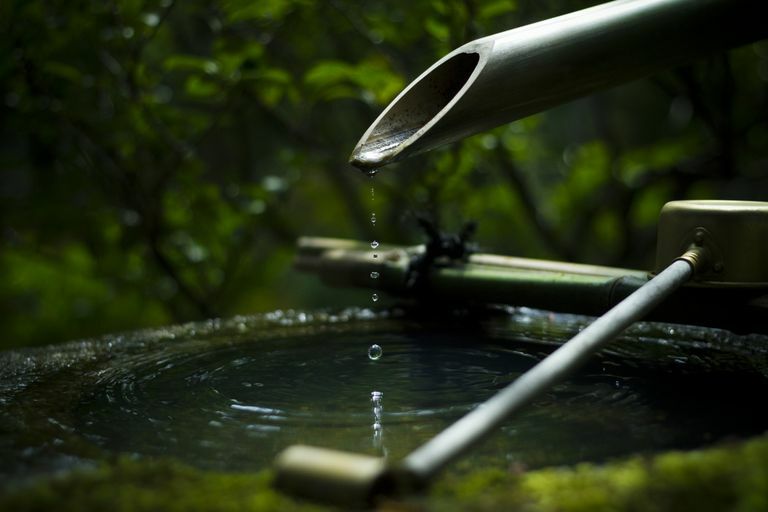 However, it is not unheard of for a teacher to combine elements of Soto and Rinzai, assigning koans selectively to students who might particularly benefit from them. In both Rinzai and Soto Zen, teachers often present koans in formal talks (teisho). But this presentation is more discursive than what one might find in the dokusan room. The Japanese word koan comes from the Chinese gongan, which means "public case." The main situation or question in a koan is sometimes called the "main case." It is unlikely that koan study began with Bodhidharma, the founder of Zen. Exactly how and when koan study developed is not clear. Some scholars think its origins may be Taoist, or that it might have developed from a Chinese tradition of literary games. We do know that the Chinese teacher Dahui Zonggao (1089-1163) made koan study a central part of Lin-chi (or Rinzai) Zen practice. Master Dahui and later Master Hakuin were the primary architects of the practice of koans that western Rinzai students encounter today. Most of the classic koans are taken from bits of dialogue recorded in Tang Dynasty China (618-907 CE) between students and teachers, although some have older sources and some are much more recent. Zen teachers may make a new koan any time, out of just about anything. The Gateless Gate (Japanese, Mumonkan; Chinese, Wumenguan), 48 koans compiled in 1228 by the Chinese monk Wumen (1183-1260). The Book of Equanimity (Japanese, Shoyoroku; sometimes called the Book of Serenity), 100 Koans compiled Hongzhi Zhengjue (1091-1157). The Blue Cliff Record (Japanese, Hekiganroku; Chinese, Biyan Lu), 100 koans compiled in 1125 by Yuanwu Keqin (1063-1135). Mana Shobogenzo, also called the Sambyaku-soku Shobogenzo or the 300-Koan Shobogenzo. Three volumes of 100 koans each compiled by Eihei Dogen (1200-1253).